Nuala O’Connor, the co-founder of Ireland’s Edge, previews this year's event, which takes place on Saturday, September 29th, and will be live streamed on RTÉ Culture. 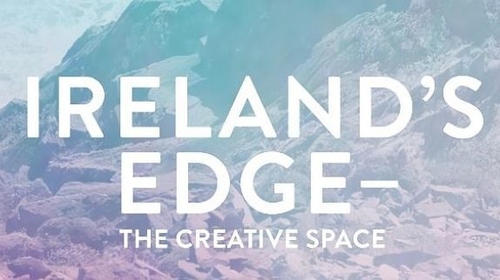 What I’m describing is Ireland’s Edge - The Creative Space, the upcoming Other Voices /Ireland’s Edge event to be held in the beautiful Jackie Clarke Collection building in Ballina, Co Mayo on September 29th. This will be the continuation of a discussion which began at the very first Edge, held at Other Voices Dingle in 2015. Ireland’s Edge’s is a gathering of people from diverse disciplines, sectors and occupations, coming together, listening to voices from outside their own sphere. Every Edge event concerns itself with how Ireland is positioned in relation to the great challenges of the future, posed by technologies that are developing faster than most of society’s pre-digital systems can cope with. Speaking to these issues in Ballina is an impressive mix of outstanding individuals from very diverse fields – technology, science, the arts and education. At the Edge we ask questions like what exactly is the STEAM agenda, the creative marrying of Science, Technology, Engineering, Arts and Mathematics. What could we produce by including our creative communities in these conversations, be they artists, engineers, designers, writers or any kind of scientist you care to think about. Ballina born Norah Patten is an astronaut-scientist who on a childhood visit to NASA decided that her future was in space. She kept to her plan and achieved it. She’s now working in the International Space University and as an astronaut candidate on the PoSSUM Space Project in the US. Ballina born John Naughton is a widely read, influential thinker on the digital world, the future of technology, internet privacy and digital rights. He too had an epiphanic moment as a child in Ballina in the 50’s when he met a ham radio enthusiast and heard him connect by radio to a man in Australia. In the days when mass communication did not exist, it was a nothing short of a miracle of engineering science! As a child from a small farm in Turlough, Seán Rowland had an ambition to be a student at Harvard . He achieved this and returned to Ireland to set up the first private online and blended Degree Courses at Third Level. Musicians Laoise Kelly and Emer Mayock, Irish Journal of Music publisher Toner Quinn, composer and researcher Úna Monaghan, Intel CEO Eamonn Sinnott, Hollister engineer Michael Murray, natural scientist John O’Halloran and many others will contribute their insights and personal stories. It’s going to be a very memorable day. 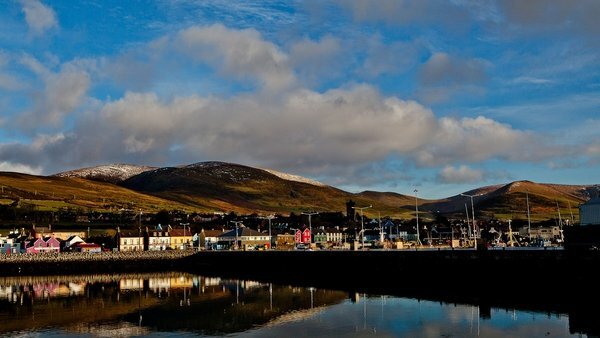 RTÉ Culture will be live streaming Ireland's Edge on Saturday 29th September.